is a sociologist with an interest in contemporary Jewish identity and culture and the convenor of the website New Jewish Thought. His other area of expertise is the global extreme metal scene. Attacks on scientific consensus employ the simulacra of scholarship and a deceptively readable idiom. Those who debunk the deniers tend to be old-fashioned rationalists or committed activists. 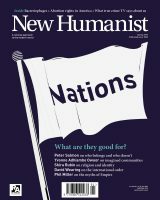 Neither group are particularly well suited to looking at the deeper reasons behind denialism, warns Keith Kahn-Harris.